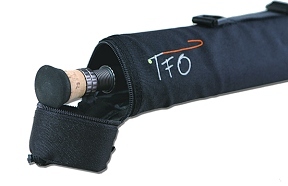 Unlike the other vendors we carry, Temple Fork choses to price their rods without a rod case. Unless you or your lucky gift recipient already have a suitable rod case, you will want to add this case. At $29.95, you will be picking up a great case.